Have you been checking out Connecting Singles lately? Did someone recommended the site to you or did you just came across it? Whatever your reasons are, it is a good thing that you are here in this Connecting Singles review to get to know the site before signing up. The internet, as we know it, makes things easier. It helps job more bearable, makes homework less stressful, and dating more possible. With the busy lifestyles that we live today, it can be next to impossible to find a date. Fortunately, online dating is growing in numbers, and people now have an option on what dating site to see their dates. One of the dating sites today is Connecting Singles, which I am going to talk about today. They also have a dating app, which makes it even easier to find a match on the way to work. 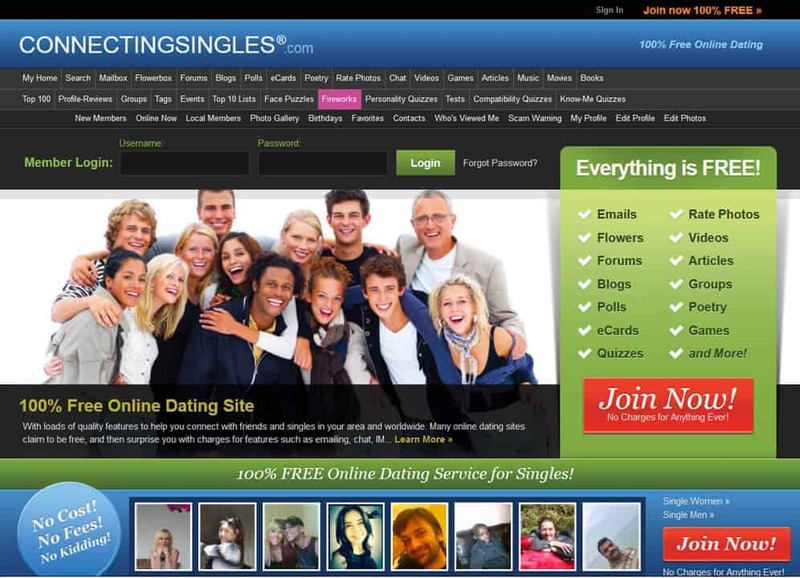 Connecting Singles is a forum and dating website that is free for everyone to use. Besides it being an online dating site, it is also known to have different options that will help you pass the time. This, of course, includes event lists, profile reviews, forums, chat rooms, and as well as quizzes. If you are a member, then you can access all of these features. One of the good things about Connecting Singles is that you can search for other members who are nearby. But of course, you can always opt to explore globally if you want to. Now, once you have found that member that is near your place, it would be best to send flowers, which is a way of letting the member know that you are interested. Connecting Singles want to make sure that you will be able to communicate with other members quickly. That is why they made sure that you can bookmark the member that you like. In this way, accessing them will be more comfortable. Another feature that you will surely love is that you will get to see the members who are viewing your profile. You can either message them if you are interested or ignore it. Of course, they also have a block feature, so you can get rid of the ones that you don’t want. With the information given above, it’s fair enough to say that Connecting Singles is a decent online dating site. It’s free to join and free to look for a date, which means that you can opt out if the site is not satisfying your needs. So hit the sign up button and see how things will go from there.